A few weeks ago, my friends from Starbucks Philippines told me about their new line of drinks. As someone who likes sweets (particularly chocolates), I knew I had to try the Starbucks Espresso Confections. The new drinks are called the chestnut praline latte and the raspberry truffle mocha, and they are as good as they sound. You know the saying “like a kid in a candy store”? That’s how I felt when I first saw it. 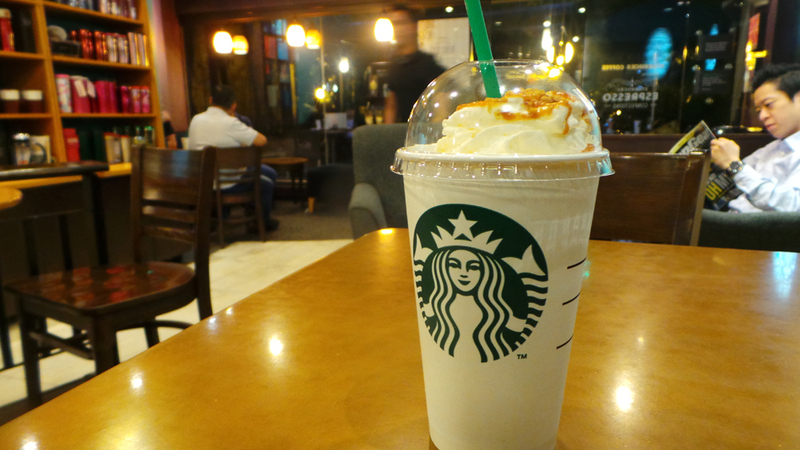 I had the chestnut praline latte one cold evening across Salcedo Park in Makati. I just had a long and relaxing massage, and I wanted a little pick-me-up before dinner with my man. Boy, did this drink wake me up. The chestnut praline latte mixes the brand’s signature espresso with roasted chestnuts and milk. 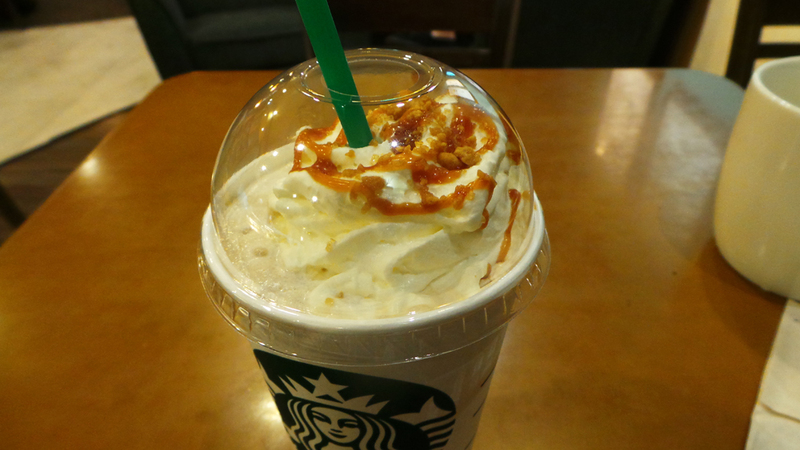 It’s a familiar flavor to Starbucks fans, but the whipped cream and crunchy praline bits add an interesting texture in each sip. I tried the raspberry truffle mocha in SM Southmall before my man and I went home after buying shelves he’ll install over my desk (I’ll write about it soon). He was staying for the weekend and we decided to have drinks before heading home. The raspberry truffle mocha is a more challenging flavor, but it grows on you and I ended up liking it more than the chestnut praline. 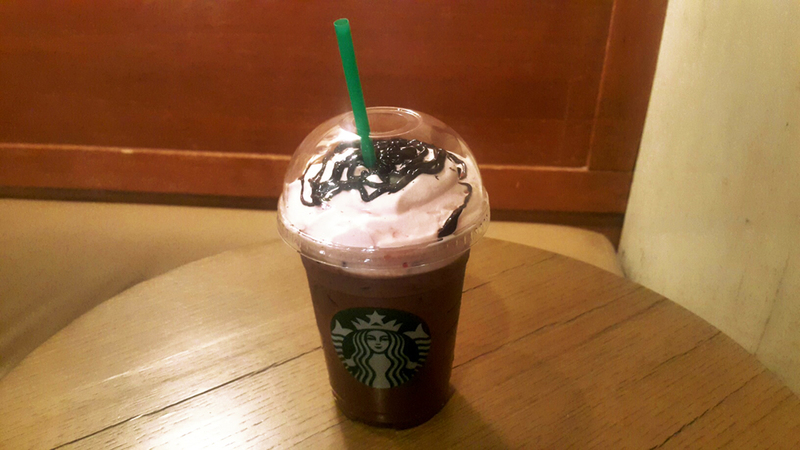 The signature mocha is combined with raspberry flavor, and topped with raspberry whipped cream and drizzled with espresso truffle sauce. The truffle flavor is complex, but the bitterness blends well with the sweetness of the raspberry. Starbucks has a few tricks up its sleeve in the coming weeks. From February 9 to 13, if you order two cups of the drinks, you can get a free slice of cake. And on February 16 and 17, if you buy a cup using your Starbucks card, you can earn two beverage stars. 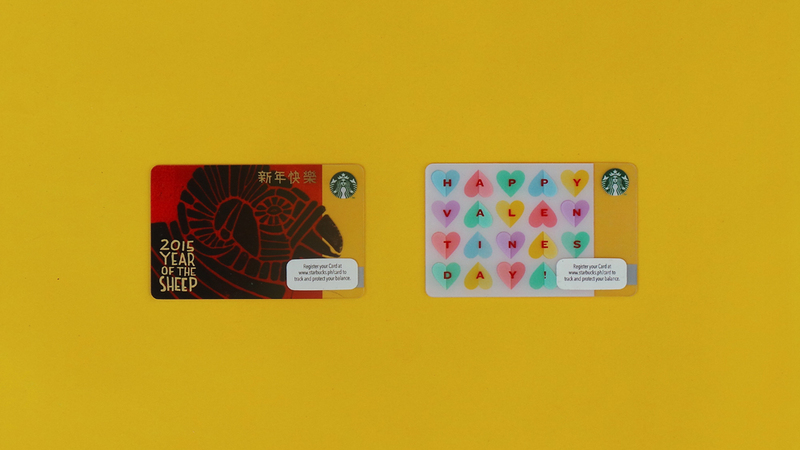 Besides the two drinks, Starbucks launched their new Starbucks cards for the Lunar New Year and Valentine’s Day, and two new coffee blends, the Guatemala Casi Cielo and the South of the Clouds. 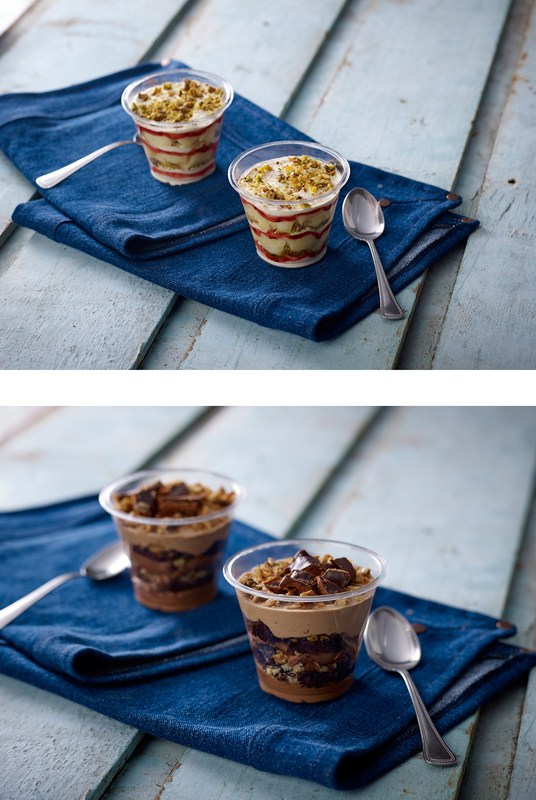 Starbucks also launched a lineup of new food items to accompany them. Until February 23, you can try the chocolate banana cake, raspberry and cream parfait, chocolate and hazelnut parfait, chicken and mushroom wellington, cheese pimiento and bacon on Italian country bread, Moroccan chicken wrap, Caesar salad, and the garden salad with mango vinaigrette. I don’t know about you, but I’ve been eyeing the raspberry cream parfait and the chocolate and hazelnut parfait every time I’m there. I’ll have to try it soon. Told you I love desserts.